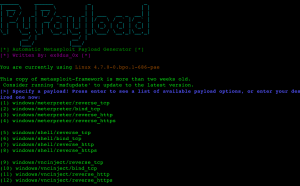 Browse: Home / pypayload – Automatic Payload Generator. 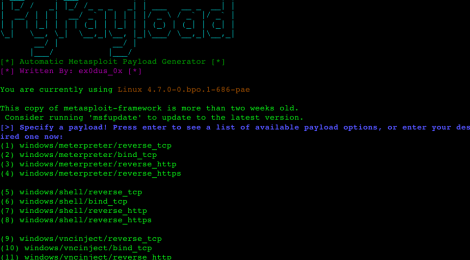 pypayload – Automatic Payload Generator. Metasploit is a great suite for penetration testing. 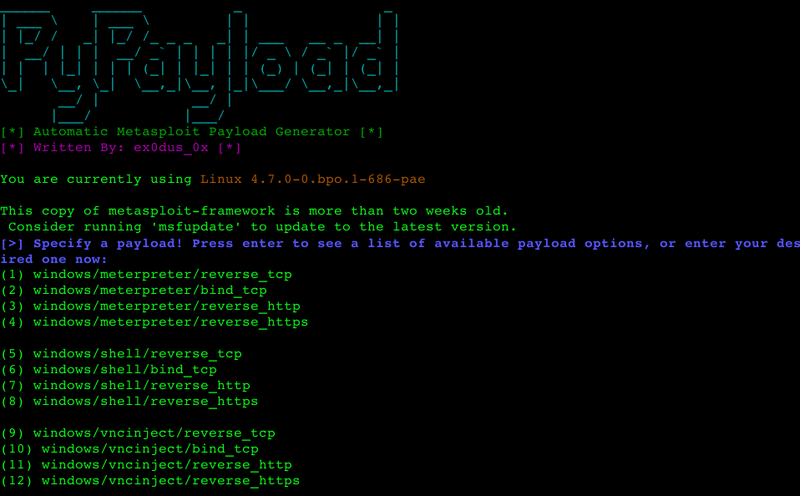 However, I tend to find it a hassle to create a payload utilizing Metasploit’s msfvenom, and created this project in order to automate that process. ← Cloakify – Hide, Data Exfiltrating & Infiltration In Plain Sight.